Hi. I installed Debian Squeeze (6) yesterday and noticed on the XFCE4 Setting Manager screen, there is no icon showing next to the Screensaver item. All other icons are present. Am I missing a file or package perhaps?? (if you don't know how look at the other *desktop files and find one which has got an icon-entry. If in doubt use the full path to the icon). I am not sure how the desktop file of screensaver is called. Look what you got. The missing icon should be in the XFCE4 Settings Manager screen. All of the other icons are shown, except for Screensaver. There is nothing in ~/.local/share/applications except for an empty file named "defaults.list". xscreensaver-data and xscreensaver were already installed, the others were not. It also wanted to install additional library files. The issue is that in the XFCE Settings Manager window, all of the icons (Display, Desktop, Appearance, etc.) are present, except for the icon for Screensaver. The Screensaver entry on the regular Settings menu, has its icon displayed next to it, it is only missing from the XFCE4 Setting Manager window. 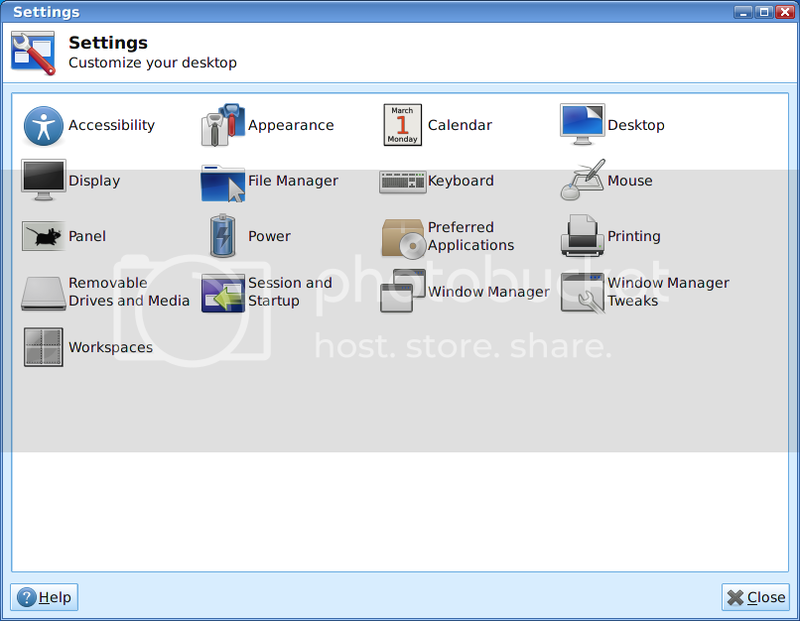 Attached is a screengrab of the window showing the Screensaver item without an icon. Change your style. Sometimes, the styles do not have all the necessary icons, so it leaves some blank. That theme you're using looks like Gnome Legacy, maybe? Switch to xfce-basic and see what happens. I already tried changing the themes. The only two that installed were Tango (default) and GNOME. When I changed it to GNOME, the icon was still missing afterwards, plus the GNOME theme also reduced the size of the on-screen fonts, system-wide. Very strange, Edward. I'm all out of ideas, my friend. Sorry. I was provided a link to a bug report relating to the XFCE Screensaver entry, not sure if it's related though. Can you post the link. I'd like to check that out. I took a look at my Ubuntu installation and in that XFCE Settings Manager window, Screensaver is not listed. Xfce 4.8 isn't in Sid yet,and the op is running Squeeze(Stable). About XFCE displays version 4.6.2 on the Info tab.